Thank you for the opportunity to review and comment on the Draft Anne Arundel County Pedestrian and Bicycle Master Plan dated May 2013. BikeAAA is encouraged that Anne Arundel County has elected to update its bicycle and pedestrian master plan. This is a first step in making sure bicycle and pedestrian infrastructure is improved within the County’s more densely populated areas that are served by sewer and water. One of the biggest contributing factors in encouraging people to use their bicycles for commuting or making short trips is that the faster the traffic moves on a road, the more separation a bicyclist needs to feel safe. This should be a consideration in determining when bike lanes or shared use trails with full separation from roadways are the appropriate infrastructure improvement. Determine an adequate width for shared use trails that safely accommodates walkers and bikers in their own space. We would argue that the width of the B/A Trail is no longer adequate when cross country teams, bicyclists, walkers and joggers, dog walkers and families on foot or on bikes are using the trail simultaneously. Two-way walking and biking lanes that are separately striped should seriously be considered for new trails. A bike and pedestrian level of service should be developed similar to level of service that is used for auto trips. This would encourage more use of trails for bike commuting and trips to work, school, shopping, etc. Because the road network has been designed to be auto-centric, many bicyclists have learned to get around by not taking routes on their bicycles that they would take in their cars. For short commutes and trips, less direct side streets with lower traffic volume and slower speed limits are many times the preferred travel route on a bicycle rather than the direct route with larger volumes of traffic and higher speed limits. As it comes time to design bicycle infrastructure projects, there may be less expensive alternatives that do not rely on co-locating bicycle infrastructure on major roadways. BikeAAA encourages the County to look at a series of alternatives before electing a preferred alternative for any project and to engage bicyclists from the local area in providing feedback about alternatives. Less expensive bicycle infrastructure projects may lead to implementation of more projects overall. B&A Trail connection to College Parkway – provide a crossing of Rt. 2 at Jones Station Road that includes bicycle crossing lanes, lights that accommodate bicyclists and signage. Add a bike lane to Magothy Bridge Road/ Earleigh Heights Road from Mountain Road to the B/A Trail. Provide a crossing of Rt. 2 at Earleigh Heights Road that includes bicycle crossing lanes, lights that accommodate bicyclists and signage. Add bike lanes and/or signage to WB&A Road from the intersection of Rt. 170 and Old Mill Road, along Old Mill Road, and up WB&A Road to its terminus at the BWI Trail (Dorsey Road). Add a linkage to/from the population/employment centers of Glen Burnie and Odenton. Start at the intersection of Rt. 170 and Old Mill Road, along Old Mill Road/Clark Station Road/ New Cut Road to the State project (purple) that connects New Cut Road to I-97. While some of this linkage is outside the water and sewer service area, this route should be evaluated for inclusion in the plan due to the potential significant benefits of linking Glen Burnie and Odenton via a direct route that may carry less auto trips than some of the other potential Glen Burnie/Odenton linkages. For bike lanes or other on-road bicycle infrastructure, many times traffic signals are inadequate because on-demand/traffic-actuated traffic signals will not change to green for people on bikes. 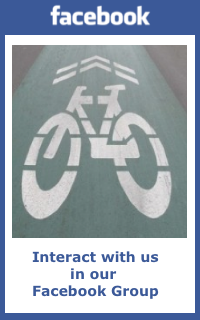 Therefore we recommend including a provision for bicycle-scale signalization where appropriate, as well as signal triggers/buttons that are accessible to bicyclists. The Tier Maps on pages 58-60 of the draft plan show MD State Highway Signed Bicycle Routes in gray. While these may be signed routes, it does not mean that the infrastructure is adequate or safe for bicycles. While we understand that MSHA has control over these right-of-ways, there should be a statement that these routes should be reviewed for safety and bicycle infrastructure improvements. MD Rt. 2 through Parole is a perfect example of an MSHA Signed Bicycle Route that has absolutely no accommodation for bicyclists. High traffic speeds and lack of separation between bicyclists and motorists make this route bikeable for only the most seasoned and confident riders. The list of “Attractors” in the draft plan should include large schools and employers such as the U.S. Naval Academy and Anne Arundel Community College. Emphasize the teaching of safe bicycling and walking through a collaboration with the schools, health agencies and large employers. Implement a “See/Click/Fix” program similar to Howard County, where cyclists and walkers can easily report problems such as potholes, sewer grates, glass, etc. to the Department of Public Works via cellphones and/or PDAs. Conduct a regular census of biking and walking in the County to establish a baseline and then assess improvement over time. Any bike and pedestrian census should include bicyclists and pedestrians at major employers, schools, shopping areas, destinations, “Attractors,” etc. An actual increase in bike and pedestrian trips is the ultimate measure of success for individual projects and the overall plan. Don’t rely on development projects to provide all the necessary bicycle and pedestrian infrastructure that is needed in the County. The County really must plan for several projects a year, including funding for alternatives analysis, environmental resource inventories, engineering design and construction. Only through diligence will progress be made. BikeAAA looks forward to working with the elected officials and County staff to ensure bicycle infrastructure improvements are funded, designed and constructed. Page 106 – Education and Safety Programs. BikeAAA has already started conducting Bicycle Safety Courses within the County. BikeAAA Mission: The mission of BikeAAA is to create a healthier, more liveable Annapolis and Anne Arundel County by promoting bicycling for transportation, recreation and fitness; advocating for better bicycling conditions and transportation choices; and educating children, adults, and motorists about safe bicycling. Again, thank you for the opportunity to comment on the County’s Draft Pedestrian and Bicycle Master Plan. Please contact me at korin.jon@gmail.com if you have questions or need additional information. Click to subscribe. - just send a blank e-mail and you will receive an email from the group requesting confirmation.